How you can manage your email localization process. 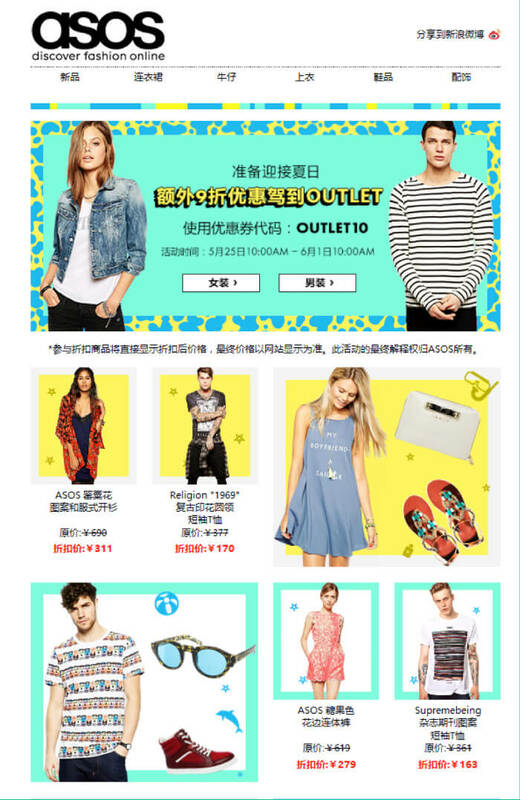 Why Be Bothered at All with Email Localization? Not all of the people in the world – or at least not all of the internet users in the world – speak English; in fact, around 70% speak languages other than English. As you remember, to be successful, you should speak the same language as your clients. Studies show that around 52% percent of online buyers buy from websites where information is presented in their language, and people with low English skills are six times less likely to buy from Anglophonic websites than people with higher English skills. Thus to be relevant for your subscribers and to stand out among more than 200 billion emails sent daily, your emails should be in a language preferred by your users. ROI is the other reason to localize your emails. Localization shows higher conversion rates and ROI; 86% of the localized ad campaigns outperformed the English campaigns in both click-through rates and conversions. The average click-through rate for the English campaign was 2.35%, with a conversion rate of 7.47%. Meanwhile, localized ads had a click-through rate of 3.34%, with a conversion rate of 9.08%. I translated my emails into different languages; does it mean that I localized them? Localization goes beyond simple translation. Thus when you localize, you translate your email into selected languages AND adapt them to country or region-specific realities. All people are equal, but not the same. So, country and region preferences and usual ways of doing business there (addressing people, using certain style and tone of writing) vary dramatically. 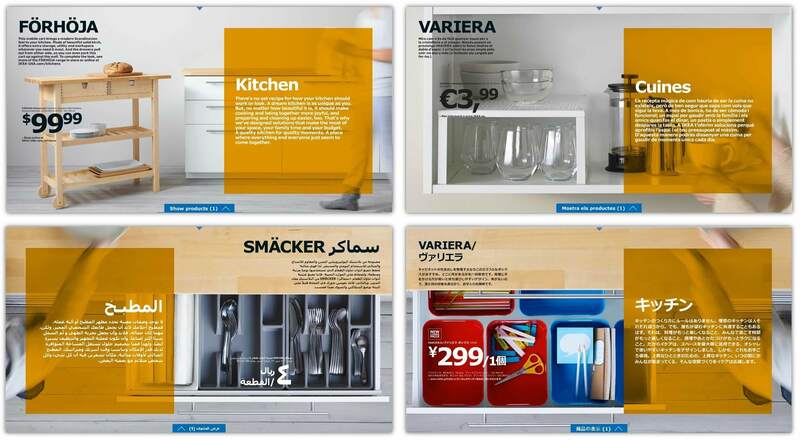 In an ideal world, companies that are eager to increase their customer engagement and conversion rates should pay close attention to the localization of subject lines, copy, images, layout, calls to action and even colors. Besides that, they should have a playbook, or a region preference list, specifying localization guidelines and local preferences. And only 25% of companies have a regional preference list applied during content/email creation. So, it is not really all that simple and easy. I want to localize. How should I do it? This might seem like unnecessary extra work, but localization requires research. And the results of this research actually might be a very good base for the rest of the process. English is definitely the most prominent language on the internet. In 2015, 67 sovereign countries and 27 non-sovereign entities had English as their official language. But is English completely the same in all of these countries? Of course not, it has it’s regional peculiarities in each of them. Quite often companies have to localize American products for the UK. The situation with Spanish is exactly the same. Spanish in Spain is not the same as Spanish in Argentina, and Spanish in Argentina is not the same as in Bolivia. And German in Germany is not the same as German in Austria or Switzerland. Sometimes you have to localize for minority populations, like the Spanish speaking population in USA or Germans of Turkish origin. The latter is actually the case with Modanisa, a conservative apparel retailer. The default language of their German website is Turkish. They know who buys from them. These regional differences in language actually go way beyond simple words and include the way to address people in an acceptable writing style. The next logical step after defining which regions or countries you are going to localize for, is to hire translators, or a localization company. Hiring a translator might be a tricky thing. And this is why. First of all, it is highly recommended to look for people with **real and extensive translation experience **and not for simple native speakers. The latter may be much cheaper, but it is very likely that they will not have a clue about translation quality and standards, and simply mess up with the task. Secondly, the translators you are hiring should have previous experience in the field where your company works or with the translation of marketing materials. If not, there could be rather awkward things in their copy that will spoil the overall impression (they may be unaware of professional slang or the terms local marketers usually use in their materials). The variety of language they speak might be not right for you. For instance, a British native speaker translator living in Spain was told once that she was not suitable for the job, because her English was too British when the client needed so called “international English”. They lived in your country long enough for their native language to get “conserved” and not sound as modern as it should be, especially if they are going to translate marketing emails that must be sharp and brisk. This is not a joke. Sometimes when you see how people who lived abroad write in their native language you realize that it reminds you of the language your grandma speaks, rather than its modern version. So, it is much better to look for translators in regions for which you localize. If you work on an extensive multilingual project, consider hiring a localization company that will do a fair share of administrative work and quality check. The localization company will help you to assess the volume of work and spending. Plus, you can get discounts on the volume. The more context you give, the better the result will be. Most likely that translation will be presented to a translator as a spreadsheet with the source language in one column and the target language in another column. But the thing is, that email copy is quite condensed and short. Thus, in this spreadsheet the cell with a single word (for instance, a call to action button) can puzzle your translator quite a lot without further context. This single world can have several meanings and it can turn translation into guesswork. Or the translation suggested by your translator might be too long for the element it is aimed for, as the text in different languages do not always have the same length. In example, a Russian email copy is on average 15% longer than the English one. Our recommendation is to send to your translators the whole email template either as PSD or in an email template editor, so that they are able to see how much space they have for each element of the copy and adjust it accordingly. Another thing to consider here is brand guidelines describing the brand and everything associated with it, like the style of writing (informal or formal), and the way to address people (by family name or by name only), etc. This kind of document will allow you to get more consistent copies in all languages. You** localize not only the text**, but everything surrounding it. If it is ethically appropriate for the email campaign region: i.e. no bikinis for conservative Muslim countries etc. If it depicts realities of the country: a photo with ethnicities that are not widely represented in the email campaign country or region may look irrelevant for your message. Also, you have to decide, if you add links to localized social media. 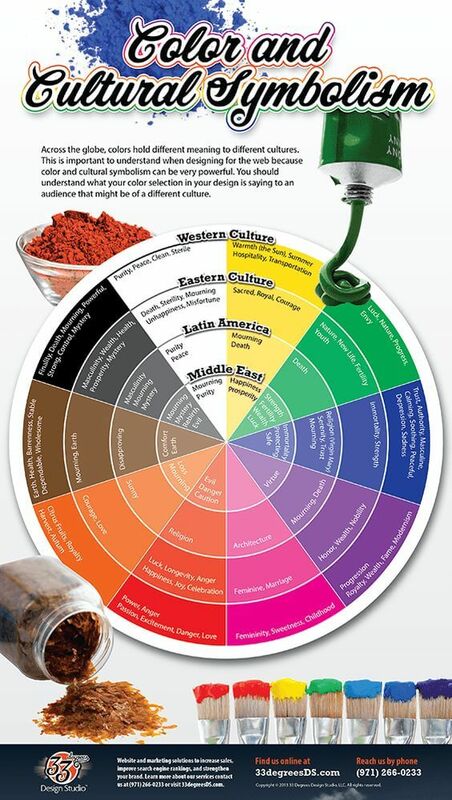 And probably even find out which colors are preferred by the local audience. In some cases, translators can advise you on better and more suitable content for the region. The brand guidelines with specifications for each email campaign region can also come in handy. They will unify the process and reduce the amount of work. Also, don’t forget about the technical side. In some countries like China, there may be popular email clients which you won’t meet anywhere else (Foxmail). In this case, responsive design is a real top tip. Localization is a team effort in many ways. Translators can give you a hint or two about localization of other things than email copy, but local marketing specialists are the real people you should talk to. 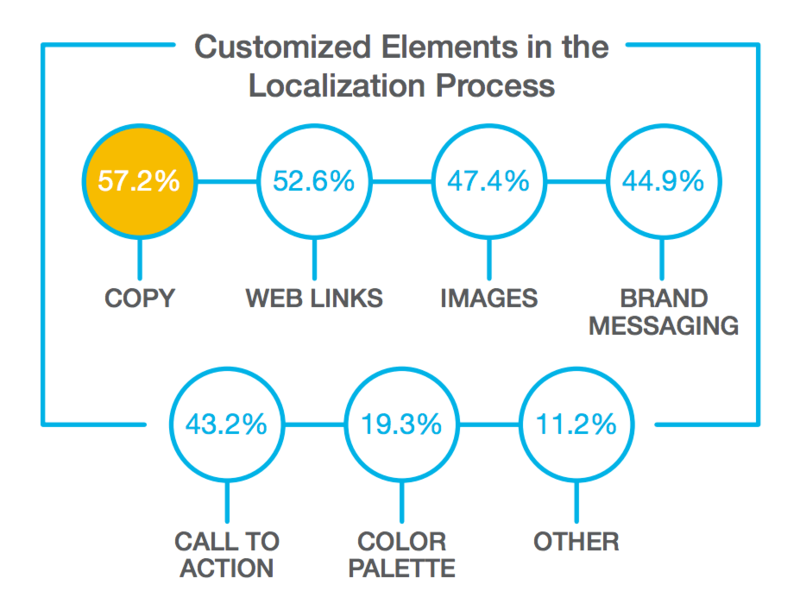 So if you have a local marketing specialist in your company, definitely get them on board the localization process. If not, and you feel that you are missing out, translators cannot provide you with all the information you want or are craving for outstanding quality, so find a marketing agency that you can consult on this matter. Analyze the results of each of your regional campaigns separately. It does not make sense to aggregate the data; especially if it is your first localized campaign, you don’t know local preferences very well and are still testing the ground. Email localization is a more complicated process than it seems at the first glance and it requires a team effort. You localize not only text, but all of the other things around it too. If you want to have a good localization of your email, give your translators as much context as possible, and involve local marketing specialists. Analyze email campaigns for each localization region separately.